Do Employment Credit Checks Deserve the Bad Rap? Reason suggests that using credit history to help make better employment decisions is a worthwhile idea in some cases. You probably don’t want to hire bank tellers with significant personal financial issues or CFOs with sizable judgments against them. Yet in the aftermath of the recent deep recession, we see continuing arguments and discussion about how unfair the use of credit checks can be, and that even using them may be discriminatory as poor credit disproportionately affects minorities. The possibility of EEOC engagement and enforcement on this issue is real. Critics’ fears about employers’ use of credit checks as a tool for the mass elimination of job applicants is a topic that won’t go away. We still find “expert” bloggers reporting in a general way that your credit score can be used to deny your employment, even though employers use background credit checks primarily for jobs where the employee has access to cash. The recession did damage the credit histories of a lot of ordinary people, and these unusual circumstances should be taken into account in a fair employment practice. But legislators have been attracted to this situation, proposing very broad restrictions on the use of credit history in employment decisions. Two years ago we reported on a California bill to ban the use of pre-employment credit checks. More recently, the US House of Representatives rejected a bill authored by Rep. Steve Cohen (D-Tenn) to prohibit the use of reports on a consumer’s creditworthiness, credit standing, or credit capacity in making an employment decision (H.R. 645). And late last year Senator Elizabeth Warren (D-Mass) jumped on the bandwagon with her version of Cohen’s Equal Employment for All Act (S. 1837). 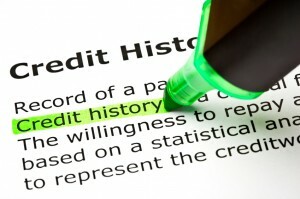 Objective observers might be puzzled by the focus on credit history in employment decisions. Research has shown that few organizations run credit checks on all applicants, or even a majority of them. It is true that many organizations conduct credit checks on applicants for positions where there is access to or responsibility for cash or other assets, but this seems to be a job-related issue. Finally, the evidence suggests that credit checks come into play only after a job interview or a contingent offer. We think the persistence of concerns about credit checks are due to the perception that certain groups of the population have been more affected by the recession, or face greater obstacles in the job market generally. It is argued that black and Hispanic households “struggle disproportionately with weak credit” and that the unemployed are subject to credit checks in seeking jobs. It’s not hard to go from arguments like these to claims of “disparate impact” similar to the EEOC guidance for using criminal background checks. Our point of view is that employers already have an obligation under EEOC guidelines to ensure the type of background check they use matches the risk and responsibilities of the position and that the factors used to judge the results of a background check (i.e. what shows up on the credit check) take into account the likelihood that what’s found will impact the applicant’s performance on the job. When used in the appropriate situation and interpreted according to already existing laws, credit checks can provide valuable insight into an individual’s level of responsibility. 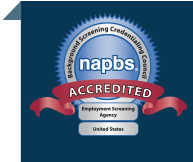 Maybe we should be more focused on whether employers are aware of their obligations and whether they are relying on reputable background screening companies, as well as legal counsel, to guide them through the appropriate use of all background checks.